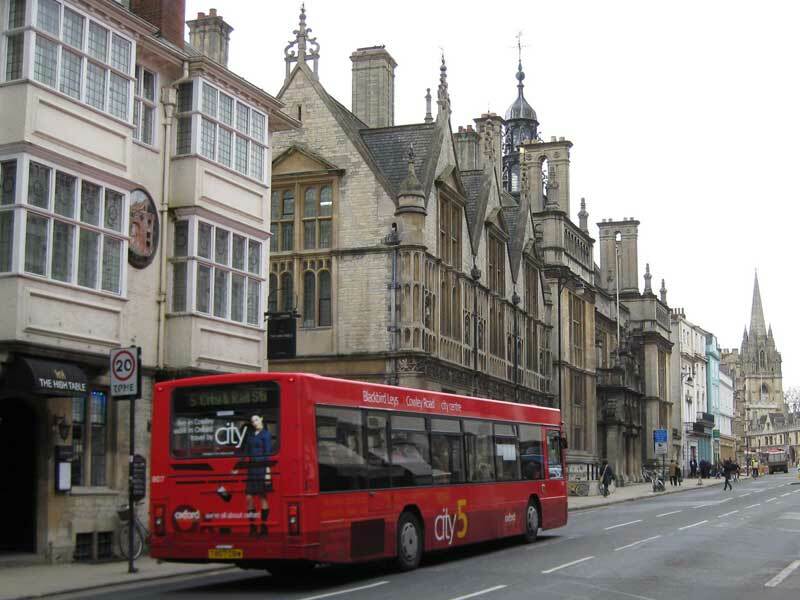 Until 1771, the East Gate crossed the present High Street just to the east of Merton Street, so the bus (above) would have just passed through the gate into the town. The present Eastgate Hotel on the left commemorates the site, but it is a modern name: the former inn on this site was until 1880 known as the Flying Horse. Until 1771, the East Gate marked the end of one road and the beginning of another. Bridge Street (also known as Bruggeset or Briggeshythe or Briggeschet) was a narrow road running from the top of Headington Hill to this gate via St Clement’s; and the wider High Street leading to Carfax only started on the west side of the gate. To take down the East Gate, and such Houses and Buildings near or adjoining to it, on the South and North Sides of the said Street, and to purchase such Ground as shall be necessary to render the Street of an equal Width with the High Street. 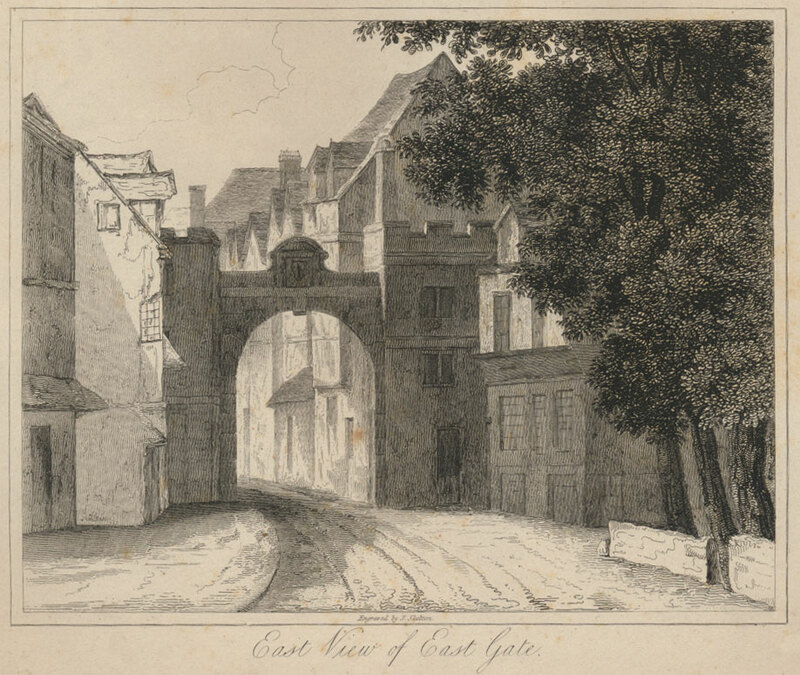 The East Gate was duly pulled down in 1771. After the East Gate, the city wall used to continue to run southwards behind the east side of Merton Street until it reached Deadman’s Walk in Christ Church Meadow.